I would like to thank everyone that works on stuff in ActiveWorlds from the owner all the way down to those who just go in & chat. You all make it what it is and I love it. 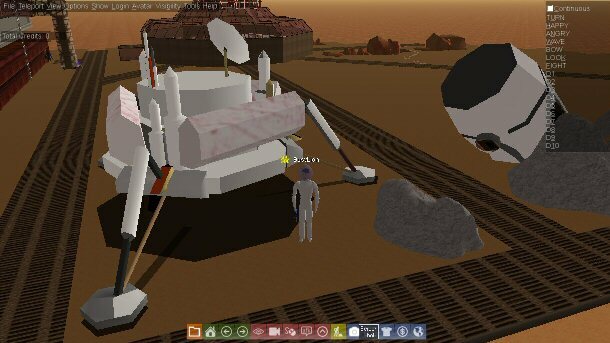 Yes I have been on Mars in ActiveWorlds working on my area that was started July 18, 1999 (I found the date of an old piece of land or something I built). I have added some new things that I found and expanded my area with new buildings and things. I am working on a picture gallery of any pictures that I have in my site that anyone can use in the worlds. There are cars, trucks, ships, space pics and a few other types. I am planning on building more and I will also add more pictures as I get them into my site folders.